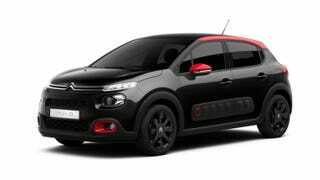 I have been looking at cars for a little bit now and somehow I landed on the page of Citroën and saw this new C3. I like it. The pictured version is one I configured. It’s a 1.2L turbocharged three-cylinder engine delivering 110bhp. Sounds like enough to have a little bit of fun in a car this size. This one is also fully optioned, with a lovely panoramic roof and such. I quite like the dashboard as well. No screen sticking up from the dash, it’s in the location where in previous years your buttons would be. Seems logical but I know how many of you hate the recent trend of having the screen quite high in the center. I like it. I like it so much I might go and see about a test drive and pricing. A quick glance would put this fully optioned one at about €16.000, which is fairly expensive of course. But a similar optioned Fiesta with a worse interior would also be up there. And the more I think about it, the more I would prefer brand new over used, so this would be quite alright.